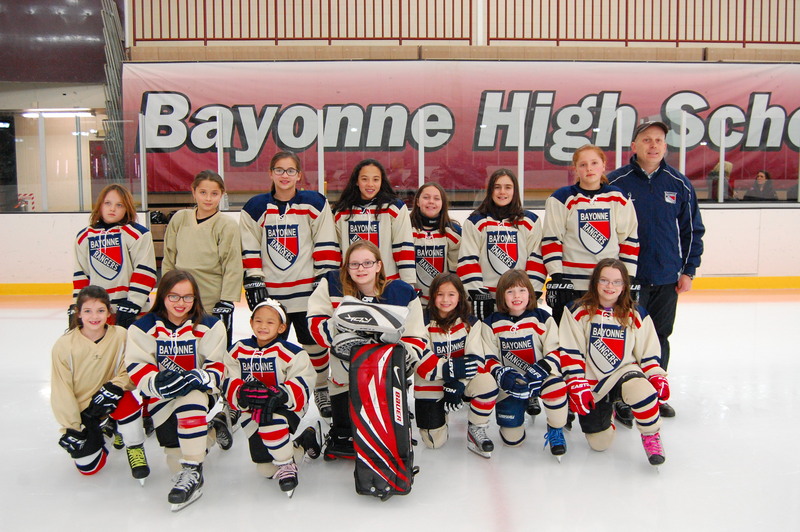 Lady Rangers | Bayonne Hockey Association Inc. The Bayonne Lady Rangers are please to announce it is forming a team for the 2015-16 season. Contact Anthony Crowdell ( crow12 ) for more information. Girls hockey is growing in the NY/NJ area and the Bayonne Rangers are developing a dedicated girls team that will be based out of the Korpi Rink in Bayonne, NJ. The program will help girls of any age learn to play the coolest game on earth in a supportive, fun, and team oriented environment. The goal of the Lady Rangers program is to provide young girls with the best skill base possible. The Lady Rangers will follow the organization's basic curriculum in a dedicated supportive atmosphere utilizing USA Hockey's American Development Model (ADM). Station based skill development - skating, passing shooting, stick-handling, hockey positioning. USA Hockey training systems are implemented weekly to maximize fun and learning. Emphasis is on total hockey development. 1 tournament credit per team. Practice Jerseys and game socks. Lady Rangers can also attend Learn to play hockey, and house league games.